Sense about Science will be running a free workshop ‘Standing up for Science‘ which allows you to find out how to make your voice heard in public debates about science and evidence. 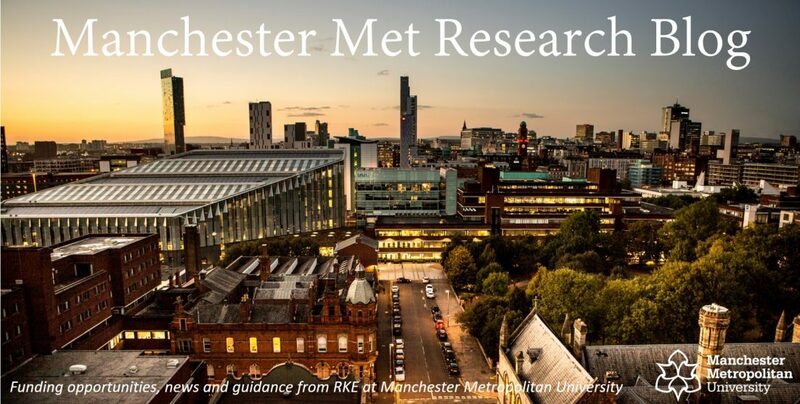 This is a full-day event where you can meet other researchers who have experience with public engagement, learn from policymakers about how evidence can inform policy and speak with respected science journalists to find out what journalists expect from scientists and researchers. You can also find out how to involve the public in communicating your research – great for Impact and Public Involvement! The event is free (although registration is required) and is aimed at STEM and social science early-career researchers (PhD students, post-docs welcome) and medical professionals. For more details please visit the website. Categories: Events | Tags: ECR, Event, Science, Science Communication, Social Science, STEM | Permalink. Proudly produced by the Museum of Science and Industry, Manchester Science Festival (MSF) is a creative, playful and surprising science festival taking place across Greater Manchester. It is the largest science festival in England and the North’s premier cultural celebration of all things related to science and innovation. 2016 is a particularly special year as the Festival will be celebrating its 10th birthday and formally closing Manchester as European City of Science. The Festival will run from Thursday 20 October – Sunday 30 October. MSF are looking for ambitious, creative and innovative events to connect our visitors with science. If you are interested in organising an event, please visit MSI for an information pack and application form. The deadline for applications is Friday 15 April at 4pm. MSF are also hosting a networking and information event on Tuesday 29 March 2pm – 4pm at the Museum of Science and Industry. At this event you will have the opportunity to meet the Festival team, network with other Festival partners and discuss your ideas for 2016. Please sign up for this event here: http://bit.ly/1QGKn7q. Categories: Events, Impact and Engagement | Tags: Museum of Science and Industry, Science Communication | Permalink. Take a look at these research proposal funding opportunities. These aim to catalyse new multidisciplinary collaborations and develop innovative research in cancer prevention via sandpit workshops. These support studies that expand knowledge related to autism intervention and treatment, produce practical and objective results, and provide outcomes that enhance quality of life for persons with autism and their families. These support small and medium-scale research projects based on library or archive collections supported by the trust. Funding aims to encourage and support the development of projects that raise awareness of the place of chemistry in people’s everyday lives, and develop the science communication skills of people who are already highly trained in chemistry. Categories: Funding Opportunities, Researchers | Tags: Autism, Cancer Research, Humanities, Science Communication, Social Science, Wellcome Trust | Permalink. This scheme is for world-class scientists who would benefit from a period of long-term support to allow them to focus on research and collaboration based at an institution in the UK. Categories: Funding Opportunities, News | Tags: Funding opportunities, funding research, research funding, Science, Science Communication | Permalink. MMU’s very own Professor Joanna Verran is joining a high profile set of experts and broadcasters at a British Science Week debate called “Stopping Ebola: Whose responsibility is it Anyway?” which takes place in MMU’s Business School on Friday 20th March from 6pm. The discussion, chaired by BBC North West Tonight’s Beccy Meehan, is one of a set of prestigious national Science Week debates taking place to raise awareness of contemporary science-related challenges. The Ebola outbreak in West Africa was first reported in March 2014, and has rapidly become the deadliest occurrence of the disease since its discovery in 1976. Public health experts are concerned that in today’s age of global transport, an infectious disease could easily and quickly spread across the globe, leading to many scares over SARS, bird flu and swine flu. But who should be in charge of preventing a pandemic in a global society where disease does not discriminate which nation state you are from? What part can local or national government play in preventing a global pandemic? Should it be up to global institutions like, the UN, World Health Organisation, or even pharmaceutical companies? So, whose responsibility is it anyway? Categories: Events, Impact and Engagement | Tags: Event, public engagement, Public health, Science Communication | Permalink. In 2015, the British Science Festival is opening its doors to academics, organisations and individuals who want to bring cutting-edge British Science to an adult, non-specialist audience. There are no restrictions on who can propose an event for the Festival – individuals, organisations and academic institutions from all over the UK come to the Festival to host events. The Open Call for proposals is now open and the deadline for submissions is 23 March 2015. To submit a proposal, please fill in the proposal form. Each proposal is considered by the Festival’s Programme Planning Committee who only have a limited number of event slots available for the Festival. To ensure your proposal has the best chance of success, please ensure you complete the form as fully as possible. Once you have submitted your proposal, the Programme Planning Committee will be in touch by the end of April with their decision. Categories: Events, Impact and Engagement | Tags: public engagement, Science Communication | Permalink. A night of scientific chaos and fun… Science Showoff is coming back to MOSI as part of the Manchester Science Festival! Science Showoff is a night where anyone, can perform anything, in any style, about any kind of science. You might be a scientist, a teacher, a science communicator, a science fan, a comedian, an artist, a musician, a writer, a dancer, an actor, a raconteur or even Richard Dawkins himself (jokes, Dawkins is banned(!)) and we will give you time (9 minutes) on our stage to strut your stuff. Now is your chance. Go to the website, put in your name and a short description of your set, click a box and you will be performing! Categories: Events, News | Tags: Manchetser Science Festival, MOSI, Museum of Science and Industry, Science Communication, Science Showoff | Permalink.